When it comes to online reviews, there is much debate regarding which platform rules supreme. Regardless of what each marketing professional believes to be true, having a notable presence on various review sites is, arguably, more vital to the longevity of your business. There are many variables that play into the success of your business, but with 90% of consumers taking to the web to research a business before initializing a dialog with the company, your online reputation and the narrative it tells has never been more crucial. Once upon a time, having any number of reviews was considered enough. You could have reviews that were weeks or months old, and no one would bat an eye. That was the norm. Consumers didn’t have constant, easy access to any site on the web at the tips of their fingers. However, as years go by, best practices evolve, and the ways of marketing innovate as technology advances. As a business that lives and breathes for the experiences of it’s customers, waiting until a review pops up on Yelp, Google or any other review platform isn’t in your best interest. If you’re wondering why marketing was mentioned in a post about collecting reviews on a rolling basis and believe the two field are unrelated, it’s time to throw what you thought you knew straight out of the window. The honest truth of the matter is that these two worlds coexist alongside one another, and play a hand in the successes of the other. Ensuring you’re in constant communication with your customers is essential in acquiring their feedback. This takes implementing marketing strategies, such as email campaigns, text message campaigns and mobile app integrations that include links to feedback landing pages. 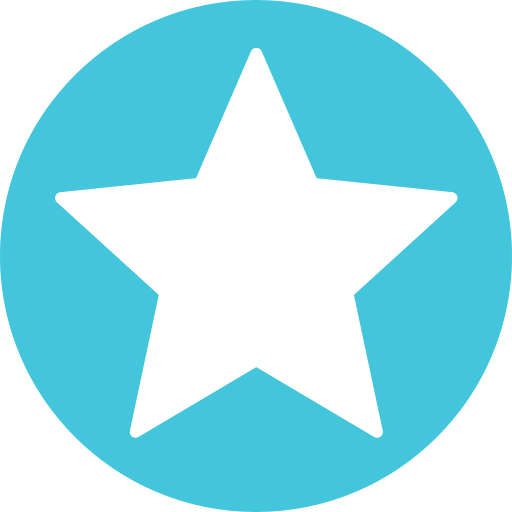 For those who may be asking, “What is a feedback landing page?” Fret not: we have you covered. As a business that lives and breathes for the experiences of it’s customers, waiting until a review pops up on Yelp, Google or any other review platform isn’t in your best interest. 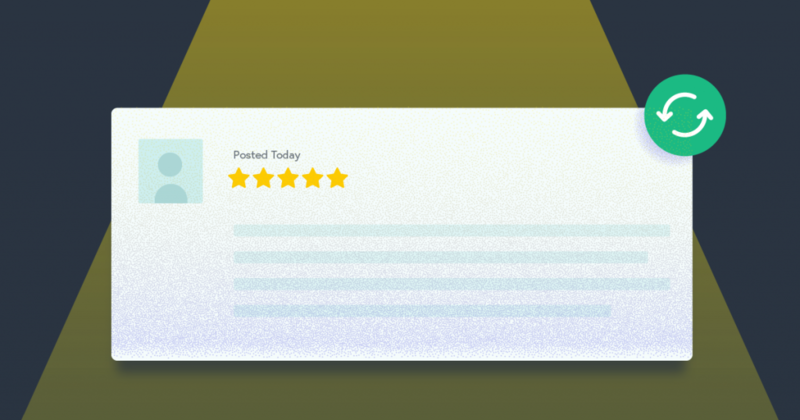 Not only is this leaving you in the dark regarding possible customer issues, you’re not collecting your own review data, therefore cannot stream any new and updated reviews to your business’s websites. When you sign on board with an online reputation management platform such as ReviewPush, you’ll open the flood gates to a world of reviews and feedback you never knew existed. These days, it’s not enough to have reviews solely on third party review sites. Plus, there’s a negative stigma around the validity of reviews on certain third party sites. Additionally, reviews left on third party sites aren’t helping you collect your own, verified reviews. Relying on a third party platform to do all of your data collection in relation to your business isn’t a terrible place to start if you’re new to the world of online reputation management, but it’s going to leave you wishing you had a way to inspire current, verified customers to leave a review on a platform a little closer to home. 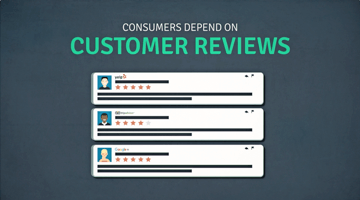 At ReviewPush, we truly believe that the most effective and efficient way to keep your review feed up-to-date is by seeking reviews on your own prior to customers taking to a third party site and voicing their feedback. As a business, you likely have certain information of your customers such as a phone number and/or email address. With this data, you are able to see when each customer last had an encounter with your company, thus can reach out to those patrons via text or email, thanking them for their business and requesting feedback. Some companies even include incentives such as discounts and deals for their customers who leave a review on behalf of their business. 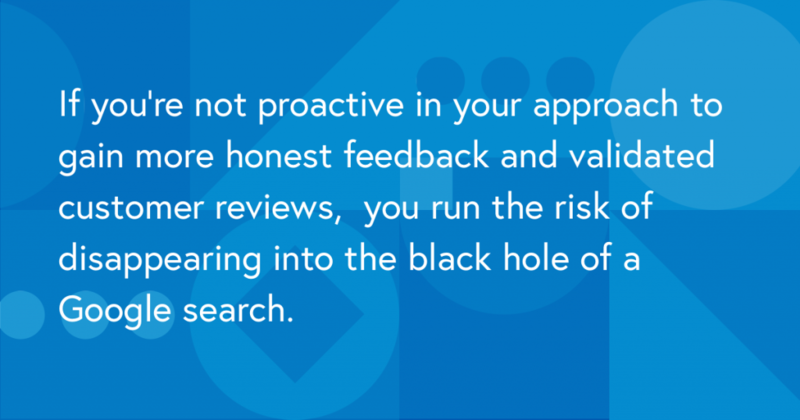 If you’re not proactive in your approach to gain more honest feedback and validated customer reviews, you run the risk of disappearing into the black hole of a Google search; often referred to as ‘page two’. We get it: you have a lot to worry about as a business owner; things that likely take priority over seeking any feedback from customers. You have customers engaging with and investing in your business every day, so why should you care about collecting feedback internally if other sites are collecting that data for you? 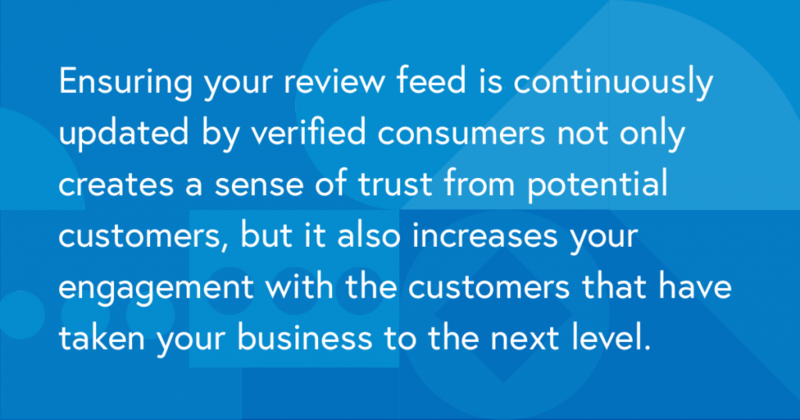 Ensuring your review feed is continuously updated by verified consumers not only creates a sense of trust from potential customers, but it also increases your engagement with the customers that have taken your business to the next level. Consider this: have you ever Googled a business, only to be taken to their website where you see they have a handful of reviews, yet they’re all months or years old? What was your initial reaction to those outdated reviews? You were likely put off by the lack of recent feedback, therefore creating skepticism regarding investing in that business or product. We live in a world where things change rapidly, and product advancements happen daily. Someone’s experience with a business numerous months ago could be drastically different than that of someone who went within the last week. As a consumer, you are entitled to doing any research regarding a business that you feel necessary, including scanning through other consumer’s reviews. What you want to avoid is letting your feed become outdated. This shows a lack of effort on the business-side; potentially leading consumers to believe you don’t value their experience with your business, and don’t care to right any wrongs that may have previously occurred. Hey, we know: your business is what keeps you going day in and day out; it’s your passion, your calling. It’s what makes you feel fulfilled and driven. We aren’t saying that you don’t care about customers, but merely sending out a warning signal to businesses regarding how this reflects back on you. Ensuring your review feed is continuously updated by verified consumers not only creates a sense of trust from potential customers, but it also increases your engagement with the customers that have taken your business to the next level. When a customer reaches out directly to you, it opens the gates for genuine conversations. This shows consumers that you are, in fact, real people, and allows you to communicate directly with them; improving your visibility and relationships with customers. If you’re a new business, you can get new customers through the door by incentivizing those who have wandered into your corner of the world. Consumers are always looking for what’s new to be blown away with, and are even more willing to share their great experiences with their networks. Utilize those who are investing in your business, even if they just come in and check out what you’re all about. Offering a discount on their next purchase in exchange for honest feedback is a great way to get off the ground when you’re first starting out. Not only are you providing exceptional customer service and getting others to spread the word for you, you’re almost guaranteeing that you’ll see that customer again. You’ve given them a reason to return, and when they do; they’ll probably come back with others to spread the word and brag about this gem of a business they’ve discovered. The benefits of collecting your own reviews far surpass that of locking in new customers and compiling feedback to further develop how you function as a business. As time progresses, additional benefits will reveal themselves to you and your employees. Setting your business up for success from the get-go allows you to easily right any wrongs as they arise; rather than providing a quick, temporary fix that will ultimately fall apart at the seems as your company grows. While it’s dire that you collect your own feedback, it’s crucial to not neglect the third party review sites. Ensuring there are up-to-date reviews on all platforms that exist (even the ones you didn’t know about) should now be a founding principle for your business. That’s where ReviewPush comes into play. With over 19,000 businesses trusting us with their online reputation management; what are you waiting for?